After a successful spell in the year 2018, Burna Boy has not relented in making Nigerians and Africans proud as a whole whe it comes to Afrobeats. 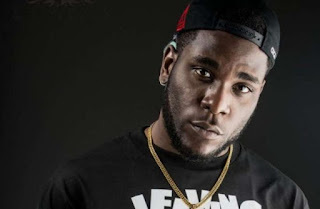 In a recent interview by a Journalist in UK, Burna Boy was seen correcting the Journalist’s impression when the man was trying to say Afrobeats originated from the UK. He had earlier started by saying the name “Afrobeats” started off in the UK wheb Burna Boy cut in by correcting the statement before they moved on with the interview. Burna Boy who is a proud African was of course in total disagreement with the man and corrected him by saying “the UK has no input, influence or naming of anything that has to do with Afrobeats. This is a legendary move by our own Burna Boy to correct the whites who always claim glory and ownership of everything including our own personal projects.